I was very surprised when a girlfriend of mine recently announced “I’m bored”. Being semi retired she had some extra time on her hands. I think actually she was missing human companionship and I instantly thought of Meetup. You can see why by reading their mission statement: Meetup’s mission is to revitalize local community and help people around the world self-organize. Meetup believes that people can change their personal world, or the whole world, by organizing themselves into groups that are powerful enough to make a difference. Meetup.com has a great website and companion mobile apps. They all integrate with Calendar, notifications, and GPS feature on your phone or desktop. 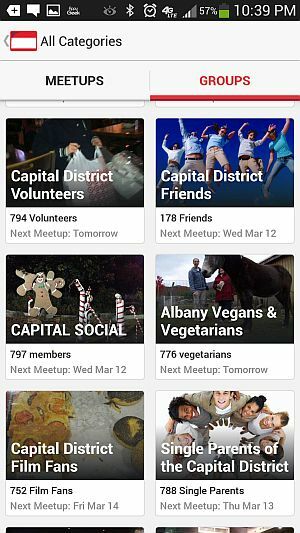 Meetup is the world’s largest network of local groups. They facilitate groups of all kinds Arts & Culture, Career & Business, Health & Well Being, Pets, Parents, Tech, to name a few. You can find groups within a specified radius of any given town or start your own. I use it to find Networking and Tech groups and I have a listing of my Meetups here. If you haven’t checked out Meetup you don’t know what you are missing!